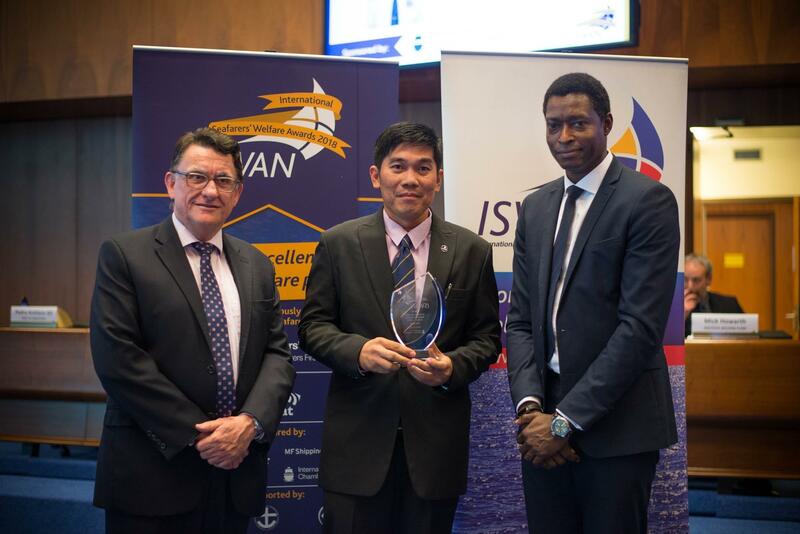 Last night, the International Seafarers’ Welfare and Assistance Network (ISWAN) revealed the 2018 winners of its prestigious International Seafarers’ Welfare Awards at a high-profile ceremony in Geneva. 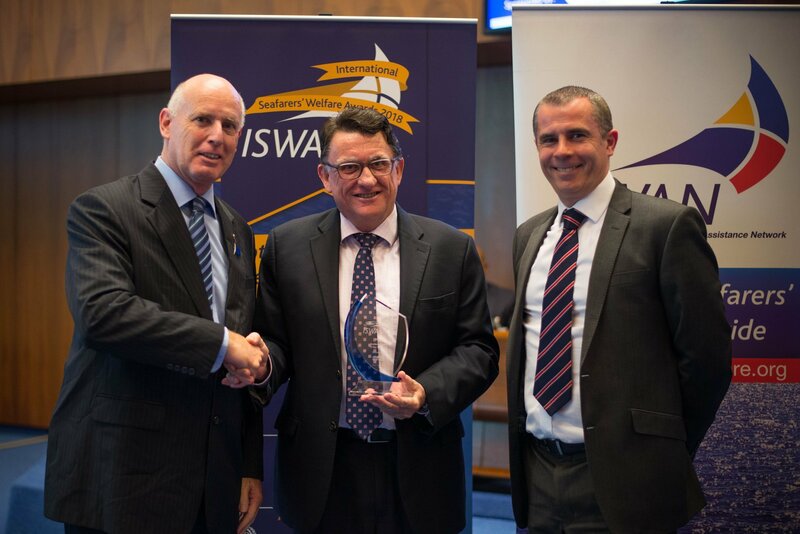 The awards honour those who have offered exceptional levels of welfare services and facilities to seafarers. The International Labour Organization (ILO) hosted the ceremony, which took place after the third meeting of the Special Tripartite Committee of the MLC, 2006. The evening began with a video message from the ILO Director-General, Guy Ryder. Greg Vines, ILO Deputy Director-General for Management & Reform who was presenting the awards, then addressed the guests with a short speech. 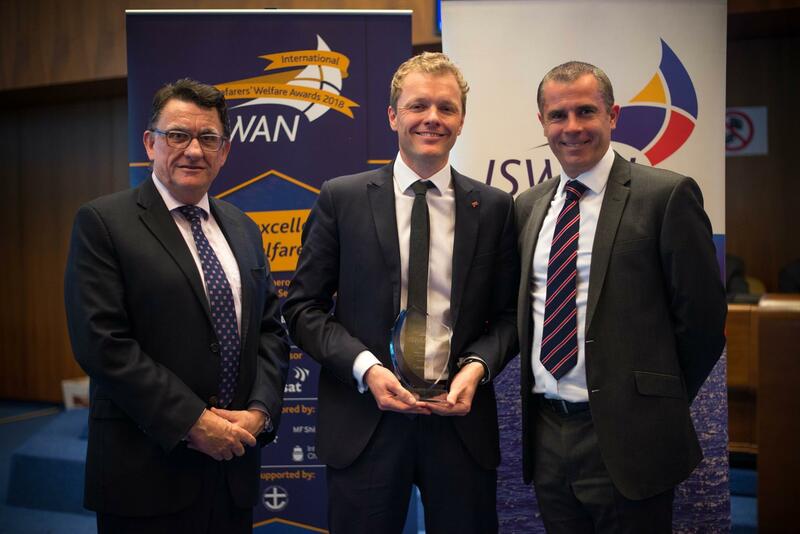 This was followed by speeches from the event’s main funder and Gold Sponsor, respectively – Tomas Abrahamsson, Acting Head of the ITF Seafarers’ Trust, and Drew Brandy, Senior Vice President of Market Strategy at Inmarsat. The chair for the evening, MF Shipping Group’s Chief Executive Officer and ISWAN Trustee Karin Orsel, announced the first award of the night. 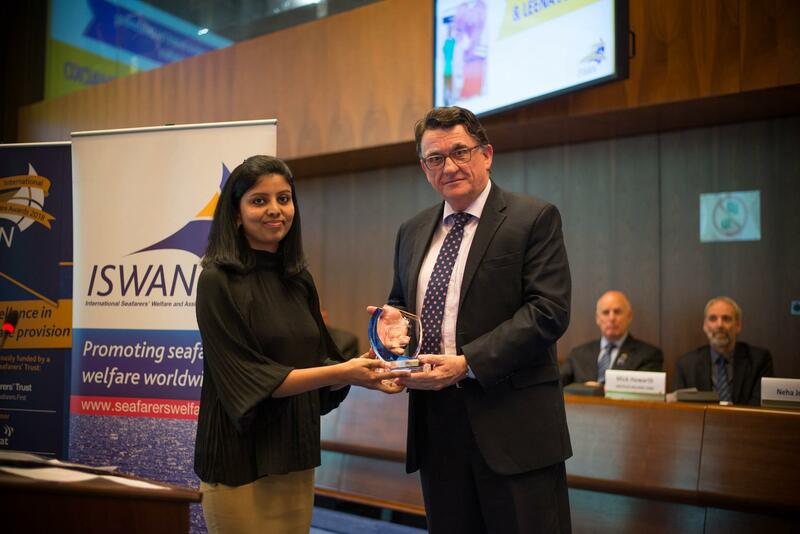 The ISWAN Posthumous Award for Outstanding Services to Seafarers’ Welfare was awarded to Joseph Chacko and Leena Joseph, who tragically passed away in February. Pastor Joseph Chacko was the Regional Superintendent at Sailors’ Society and a trailblazer in seafarers’ welfare, and Leena was a constant supporter of his work. Their daughter, Neha Joseph, accepted the award, which paid tribute to the exceptional difference that Joseph and Leena made to the lives of seafarers. The Flying Angel Club Fremantle was presented with a certificate of commendation for their continued outstanding services to seafarers’ welfare. 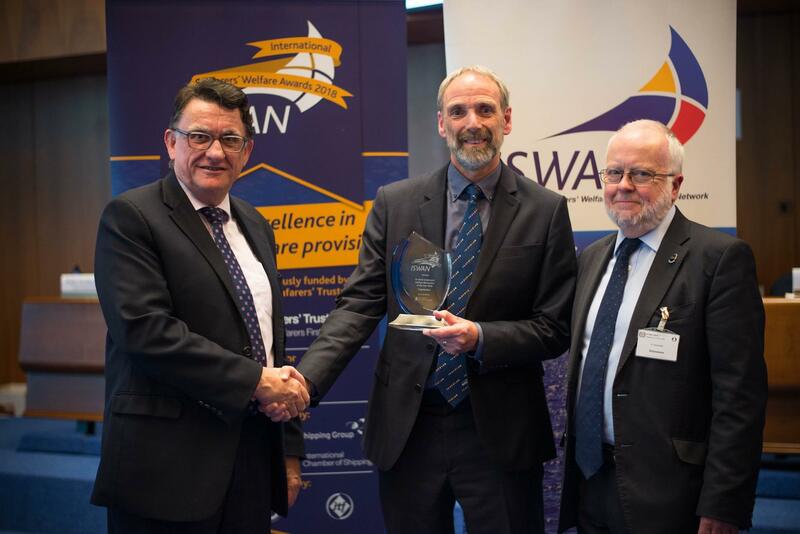 Since winning the Seafarer Centre of the Year award in 2014, the centre has increased the transport offered to seafarers and refurbished their accommodation facilities. 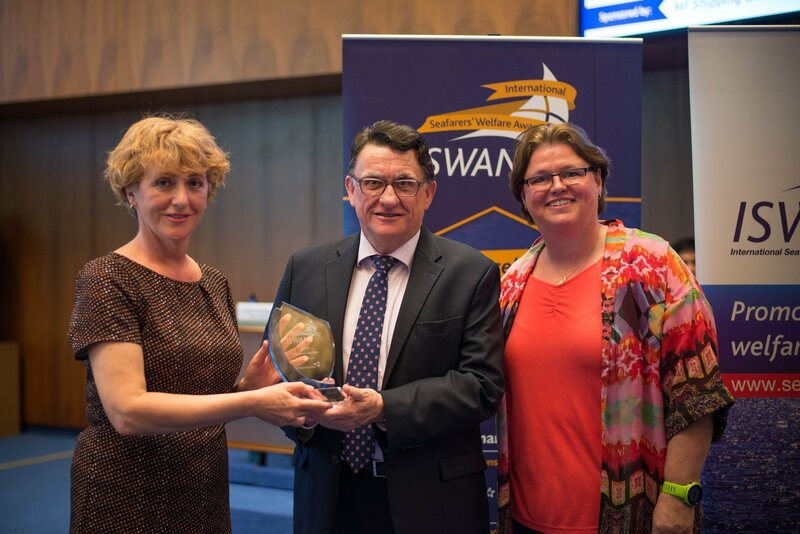 Wallem previously won the Shipping Company of the Year award in 2014 for its strong support of seafarers’ families as well as excellent on-board communications provision. Since its previous win, Wallem has implemented a Wellness at Sea Programme for all seafarers and continued to improve on-board communications among other new initiatives aimed at benefitting seafarers. The Port of Rotterdam, together with various other stakeholders, has greatly improved welfare services for seafarers in the area and is working on a number of other future initiatives to continue to provide for visiting seafarers. The Mission to Seafarers Brisbane welcomes an estimated 12,000 seafarers each year and maximises seafarers’ time ashore with its free on-demand bus service. In addition to its wider stakeholder cooperation, the MTS Brisbane works with students at Queensland University of Technology to help them meet the constantly evolving media needs of seafarers. The Nautilus Welfare Fund provides accommodation and care services for some 170 mariners and their dependants. It also provides a one-off grants service to needy mariners across the UK who need essential items or household repairs. This service supports over 300 mariners and generates £800,000/annum in benefits and grants. Jasper Del Rosario is a highly experienced and well-trained Sailors’ Society chaplain who is fully committed to supporting seafarers any time of the day or night. He visits seafarers on ships, in hospital, in prison and at home and provides holistic coaching in the Philippines as a Wellness at Sea trainer. He provided exceptional support to seafarers and their families in the aftermath of Typhoon Haiyan in 2013. Photos of the awards ceremony and the drinks reception afterwards can be viewed here. 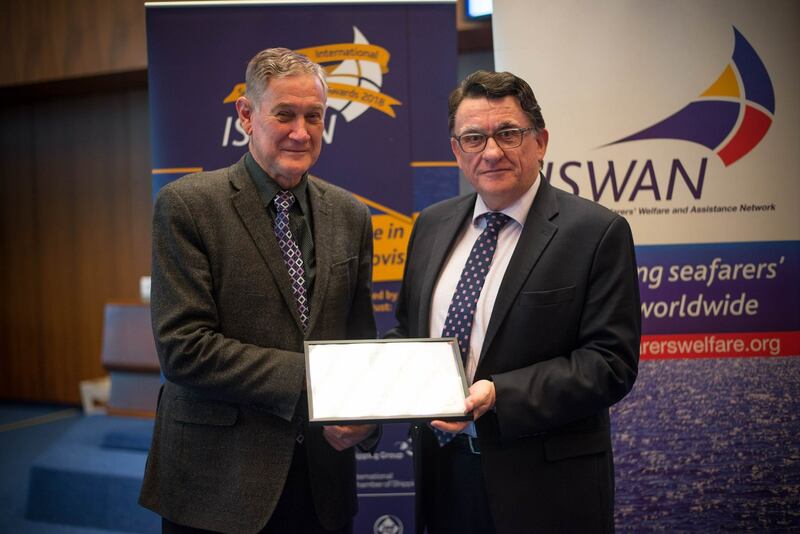 The 2018 awards are made possible by a generous grant from the ITF Seafarers' Trust and the support of Inmarsat (Gold sponsor), the International Chamber of Shipping (Dr Dierk Lindemann Welfare Personality of the Year Award), Garrets International (Shipping Company of the Year Award), Wrist Ship Supply (Seafarers’ Centre of the Year Award) and MF Shipping Group (Port of the Year Award). The awards are also supported by the International Labour Organization, the International Maritime Organization, the International Christian Maritime Association and the International Transport Workers Federation. For more information, please contact Amy Liebthal or visit www.seafarerswelfareawards.org.